This child theme is only for the ClassiPress Theme by AppThemes. 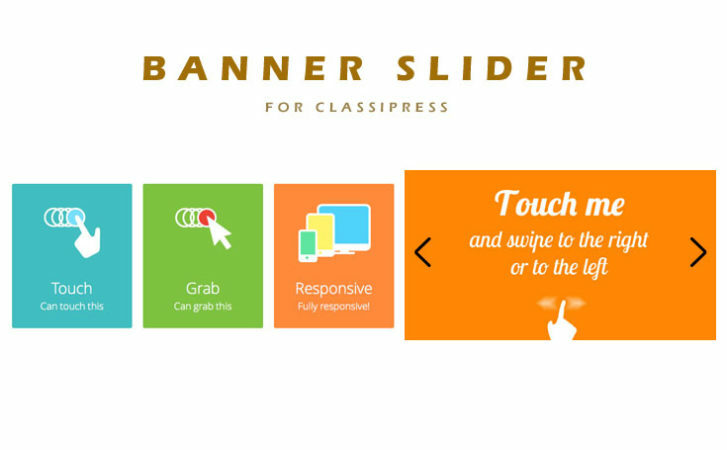 FREE Banner slider for ClassiPress Plugin (price : $19) added with zip folder. Add attractive banner slider in your website. Mobile touch featured slider with additional features. Mobile touch image/banner gallery feature. Display banner slider for category pages individually. Display banners and earn more revenue. Banner slider is fully responsive. Banner slider for home page and search page. Banner slider for Below header, above footer — for home & search pages. Banner slider for below header, above footer, above & below listings for all category pages. See all other features from plugin page.